I’m not one to get in your face and be pushy. I like to think I’m fairly laid back and happy-go-lucky-and-go-with-the-flow type of girl. As I lay in bed thinking about things, and saving my business, I decided that to keep what I want, I need to FIGHT for it. It’s time I take action, and ignore the voice of uncertainty nagging at the back of my mind, and be assertive. I can’t- I won’t- wave my white flag before I honestly and legitimately fight and hopefully surpass this obstacle. If it doesn’t work out, even though I gave it my all, I can honestly say I gave it a fair, fighting chance. There is a solution to prevent my business from going under. It’s a simple solution, too. 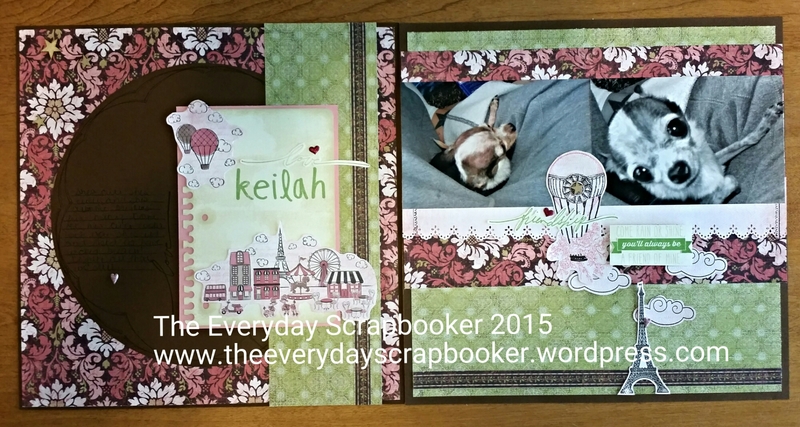 I started selling Close to my Heart because 1) I’m passionate about scrapbooking. (Shocker, I know). It’s been a natural progression since that day in Camrose that I decided I was going to get serious about this hobby. My boyfriend (now husband) and I had “gone steady”, and I wanted to capture our life and memories and preserve them. 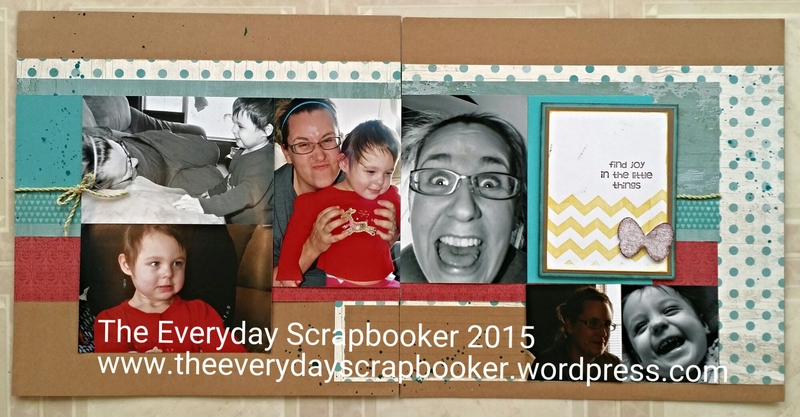 I’ve consistently scrapbooked since then. My love for it has grown exponentially since then, too. It’s completely safe to say I live my hobby. It’s become so much a part of me, it’s like the hair on my head or the white on my skin. 2) Since creating handmade items for sale didn’t work out, selling supplies to those that love this hobby (and umbrella concept crafting) as much as me was the next best thing. The only local scrapbook store we had in our area closed their doors a couple years ago. Even having a store here told me there is a market here for crafters and paper crafters. In addition, there is only one other CTMH rep in this area. There should be lots of opportunity! Where is everyone?! 3) The product is beautiful, good quality and really nice to work with. I love the diversity in products offered, richness and vibrance of the colors and patterns in the inks and papers, and incentives available to all consultants. We are very much treated like family. I feel, much like our founder, Jeanette Lynton, that this hobby and this company- like its name states- has become 4) Close to my Heart. My solution is to pull people out of the woodwork and encourage them to visit my website and start placing orders. It can be as little or as much as you want. Every little bit counts. I’m forcing myself to be assertive and ask people to help me out and buy! Meeting my monthly requirements is actually relatively low. If four people ordered $25 worth of product every month, I’d remain active! Do you feel you can afford that? There’s also home gathering (aka party) options available, too. You can earn free product in hostess rewards if you host a party. A ‘party’ could also look like a workshop. Get 5 or 6 girlfriends together and commit to 5 or 6 monthly workshops. Each month, there’ll be a new hostess. There’s lots of options available! What I’m trying to say is help me out by getting your shop on! You can make a $10 order or a $150 order. There are incentives if you spend a certain amount of money, such as the Stamp of the Month when an order of $50 or more is placed. Take a look at your budget, and determine what you can spend per month, if anything. That’s not to say I won’t order at all, or never. I will place orders as I can and as I need and when i can afford to. I’m asking people to share the cost with me. That’s not too much to ask, I hope! Is it fair? I think so! Visit my website here to start shopping and visit my Facebook page to see what stock I have on hand. Please, please help me out, and please spread the word! We have something for everyone! Good morning! It’s the end of the school week for us today, AND it’s the day my husband gets home from his whirlwind road trip. Yay!! Once he’s home, I’ll be able to exhale, especially since I learned a deer hit him last night outside Moose Jaw. Thankfully his pick-up and his self are OK! On the other hand, I won’t be able to scrap tonight. Waah! (Truth be told, I couldn’t last night either, because two little people suddenly got in touch with their inner night owls.) Note to self: even short cat naps are a no-no in this household! Maybe, just maybe I’ll be able to sneak some time in tomorrow. On a bright note, I have a double page spread to share with you today! 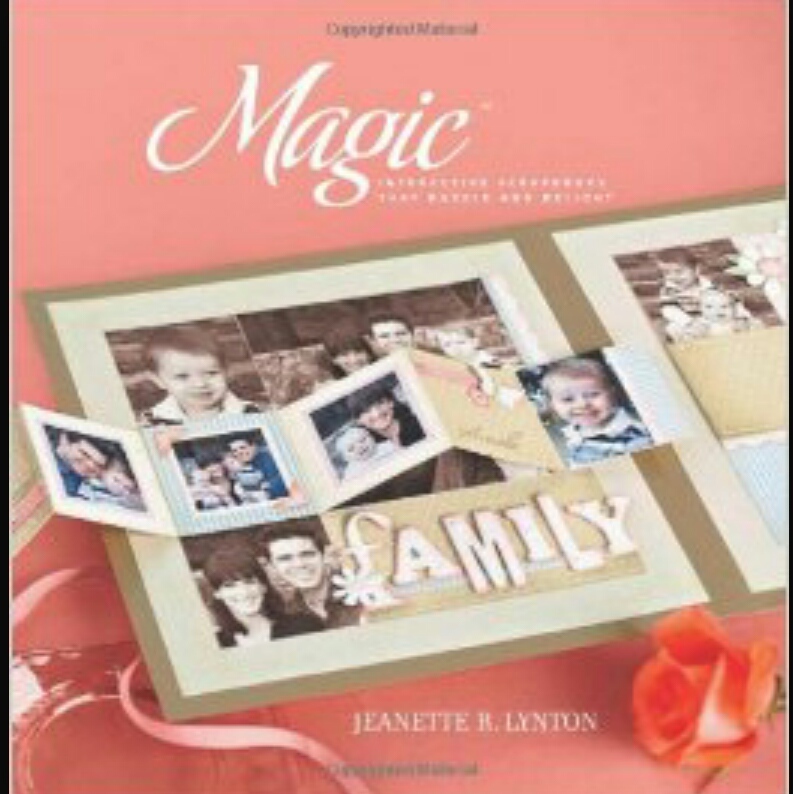 I turned to my CTMH Magic Inspiration book and lifted Enchantment. Unlike the original design, I added an extra 4×6 photo on page A (under the black and white one); on page B, I swapped out the second 4×6 photo for a journaling card. I also added two 3×3 inch photos to better help tell my story. Except for the card stock base, spray ink and filler card (which is an up-cycled greeting card!!) everything here is Close to My Heart. I used a mixture of scrap Seaside, Lagoon card stock and Heartstrings. 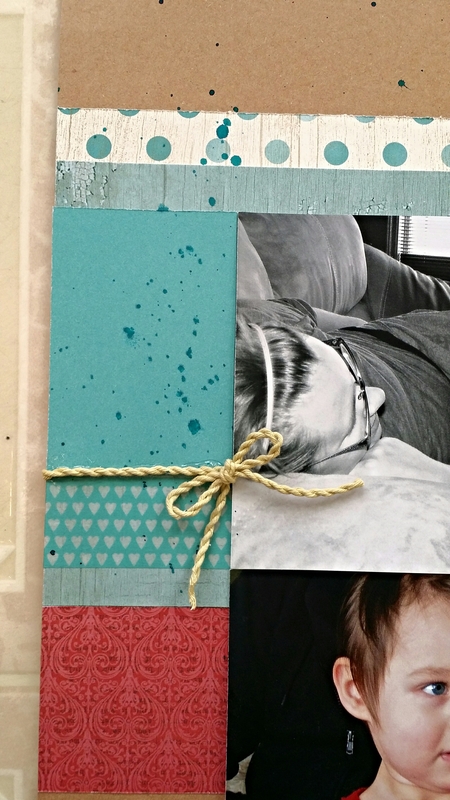 The washi tape and twine are also CTMH. The blank space, where I penciled in lines, is for journaling. I sent my sister a text this morning (since this layout is mostly about her and ALL ABOUT her relationship with my girls) and I asked her what she would say to them about her relationship with them. I’m curious to know what she’d say to them if they ever had a heart to heart conversation. Her response will become my journaling, and I’ll add it when she responds! Hopefully it’s soon! Have you ever used this technique? What was the outcome? Hello! I’m just dropping in with a little ray of sunshine on this soggy and overcast day. Hopefully it’s a bright spot in your day, like it is for me! This sweet little pooch belongs to my sister, and she’s cute as a button. Even though she’s teensy- and consequently Uber cute- until her teeth fell out, we tried overlooking how tremendously offensive her breath was! Can being cite make up for rotten doggy breath? You be the judge! I’ve started thinking lately how important it is to include-in my scrapbook album- things, people and routines as well as the big, momentous occasions. I want to include things that might otherwise be overlooked. 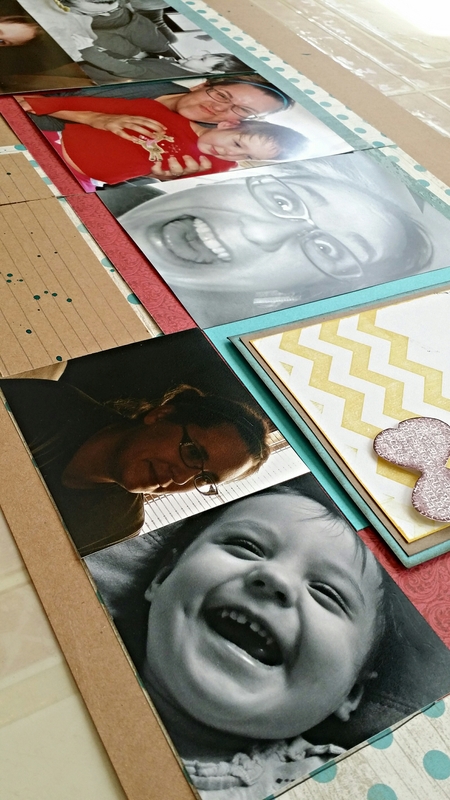 I plan on scrapbooking our favorite things, pets or certain things we loved, the first time we did certain things (our first movie at the theatre, for example), and whatever else we overlook or take for granted. I’ll do this sometime in the future, but not now. For now, I’m taking pictures of these things as I think of them. Keilah made the cut- she’s on this list. She’s old and probably won’t be around for too much longer. She’s my sisters best friend and her literal fur baby. You should hear her whine- she sounds just like a newborn baby crying. The similarity is uncanny. Since my kids are young, they may not remember Keilah when they get older. I want to preserve a part of her so that they can learn a bit about her when they browse through their scrapbook albums as teens or adults. My last layout (scroll back two posts), about my brother in law, was also worthy of a page dedicated just to himself. 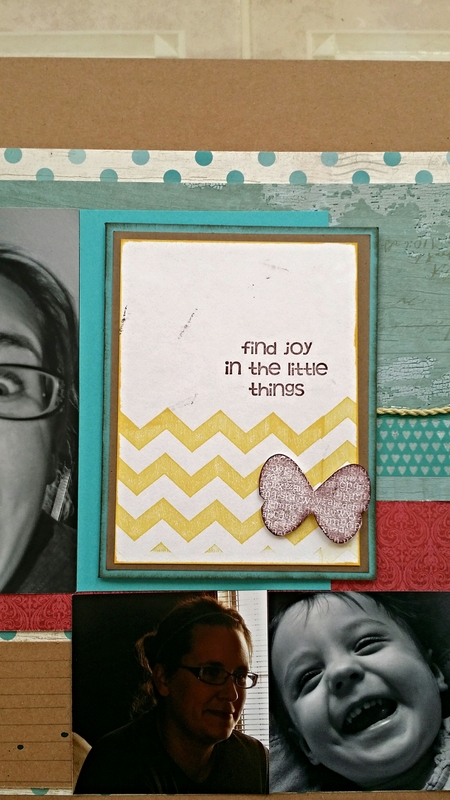 The design this spread is based on came from Close to My Hearts’ Magic Scrapbooking Confidence Program. It’s essentially an inspiration book designed to help jump start your creativity. Measurements and instructions are included with each sketch inside the book. They’re also available for purchase- there’s a number of books to choose from, including a card inspiration book! I used CTMH Ivy Lane patterned paper (A and B sides), and chocolate card stock (Recollections). You’ll also notice the zip strips being used as decorative borders on both sides of the spread. I also used Carta Bella patterned papers here too! As for stamping, I used a mixture of stamp sets- all Close to My Heart. I hope you enjoyed my layout today, and I hope it inspires your own creativity!